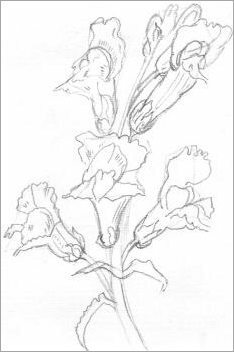 Get your pencil ready to start copying some of these simple flowers sketches. I created these images at an early stage in my learning process so I know you can do it, too. Oh, and be prepared for a surprise when you see how easy it is to duplicate these simple illustrations. You know how I love anything that is simple! All the rules fly out the window, I don't have to worry about proportion or accuracy, I only have to put on paper what I see. 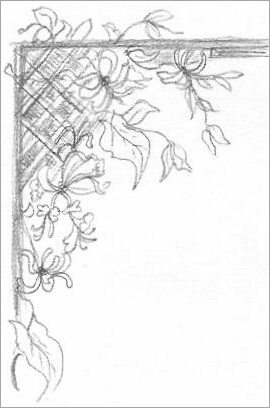 Ok, today I have decided I'm doing some various sketches of flowers. The first thing I need to do is put away my eraser because it is not welcome in this experiment. Sketches are meant to be produced without thought so there is no need for erasing or any kind of fuss, for that matter. I clear my mind by "allowing" myself to do my interpretation of flowers in the easiest way possible. I used a sketch book with textured paper and a wooden 2B pencil which means my images here are all a little blurred, sorry about that. 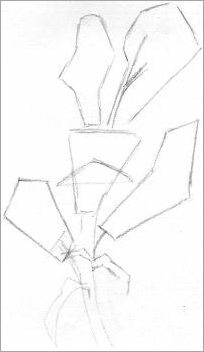 If you feel uncertain and you're not sure how to start flowers sketches, it's a great idea to roughly block out the shapes first. Of course, these lines should be very light so you won't need to erase them - they'll form a part of your lively sketch. This is an example of how I blocked in a stalk of snapdragons as the very first stage. I darkened it a bit in a great free image program called Paint.net but in reality, it is very, very light. So now I have established a rough draft, I can proceed to fill in the blanks, so to speak. This next image is almost finished using the foundation of the original block-in lines. It's rough but that's the result I was after. My challenge was to get these flowers sketches down on paper as fast as I could. Now that I have proven to myself that I can draw snap-dragons, I can do another one based on this experiment, to create an attractive version. If you don't want to block-in and wish to create freehand, the easiest way to start is to pencil in the sweeping curves of the stem first. This gets your hand moving in a kind of flow action and the rest just follows. You may also enjoy my Kindle book which shows the 9 different ways to Draw Outlines. It's great value and surprisingly very popular. Learning to sketch adds a whole new dimension to your drawings. Most artists use sketching as a preliminary drawing but I find those images are also very appealing. When I draw, I tend to take a long time getting the outline right and I pay attention to proportion along with other considerations. The simple layout with examples makes the How To Sketch book so easy to read and understand. There are a series of helpful tips, exercises and words of encouragement which offer confidence and reassurance to its reader. I recommend this book to anyone who wishes to learn the fundamental elements of sketching. I used a 2b wood pencil for the majority of this Lily of the Valley sketch but I then used my mechanical pencil to add the delicate flowers. You make changes to your flowers sketches not by erasing, but by drawing in new lines, and keep going until you have found the correct lines. When you are satisfied with a good line, make it darker than the others so it is the one that stands out the most. This little (important!) tip makes for a very spirited sketch and it also helps you to learn to rely on your eyes. This technique is the best way to prepare for truthful sketching. By keeping your incorrect lines, you allow yourself to improve. It is difficult if you're used to drawing one line at a time but this way it won't take long before you will be able to produce good sketches without drawing unnecessary lines. Simply determine to do your best and you'll have a great head start. As you progress and see good results, you become encouraged with more resolve to persevere. I enjoyed creating this honeysuckle flower on its frame. I didn't want to waste too much time with the lattice work so I roughly sketched it in with cross-hatching. Honeysuckles are fairly intricate but when you sketch really fast, they seem to appear on your paper without too much effort. I estimate that the flowers sketches on this page were all completed within a couple of minutes. The wooden frame holding the honeysuckle is slightly crooked but it still has a charm that appeals to me. Sketches are meant to be performed without premeditation. Whatever is 'wrong' actually forms part of its character... well, that's what I tell myself, anyway! Sketching is usually done quickly and as a bonus it provides you with instant gratification. If you get into the habit of sketching without erasing, that is the way to teach yourself to see how an artist sees. Don't forget to check out my How To Sketch Guide where you'll learn lots more sketching tips and techniques. It's a very humbling experience for me to show you my pencil sketches because I know they are not perfect. This is my hobby, just like I want it to be your hobby and I want you to experience the complete joy in the creation, the same way I do. In my opinion, if you want advice then you go to someone who has faced the same challenges that you are experiencing and that is the person who will help you the most. A lot of experts don't practice what they preach so if anyone gives you a critique on your artwork that you didn't ask for, then you have every right to ignore them. As a matter of fact, I encourage you to ignore them! Don't let anyone's thoughtless words erode your confidence or diminish how proud you feel about your artwork. 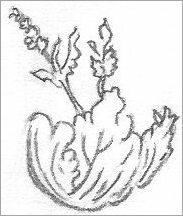 I hope you copy these flowers sketches and I hope you love your results. 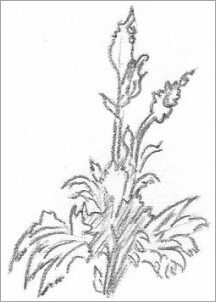 Your artwork doesn't have to look anything like mine -- providing it resembles flower sketches, then you have done a good job! The main thing is for you to get pleasure from looking at your creations, I know I do!